Prince Alexsey Romanovin enjoys his carefree life, flirting—and more—with every lovely lady who crosses his path. But when the interfering Duchess Natasha decides it’s time for her grandson to wed, Alexsey finds himself in Scotland, determined to foil her plans. 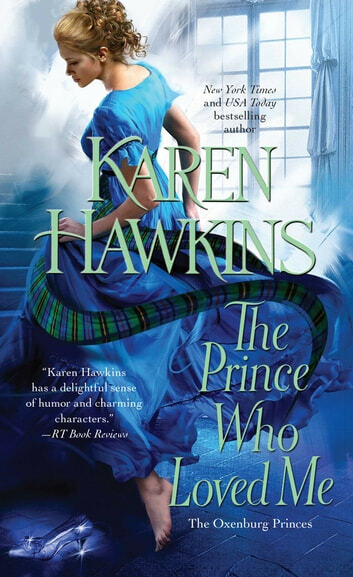 Brainy, bookish, and bespectacled, Bronwyn Murdoch seems the perfect answer—she isn’t at all to the Duchess’s taste. Great Series! This Author is a favourite! ♥ ♥ ♥ ♥ ♥ I could not put this book down! It was wonderful! The story is basically a "Cinderella" plot with a few changes.. No evil step sisters, she isn't treated poorly etc. What I loved: • Alexsey's laid back attitude as a prince, which I much preferred than a rigid arrogance. Execpt of course in his pursuit of Bronwyn. • Bronwyn's love for books, and her sassy wit. • The chemistry and banter between the Hero and Heroine. • Mairi (one of Bronwyn's sisters) I loved her spunkyness. Truly hope she gets a story! • Pretty much everything else! The writing was fantastic, I laughed and could often be found trying to sneak moments to read because I was enjoying it so much! I did have a few moments where I wondered if there was a previous book in this series... which there is! It is called How to Pursue a Princess - The second book in the Duchess Diaries series. If you haven't read that yet, don't worry, this book can be read as a stand alone but the first book is also fantastic! So personally, I would read that one before.